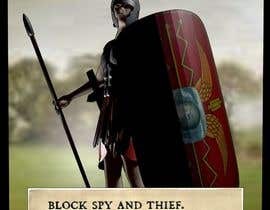 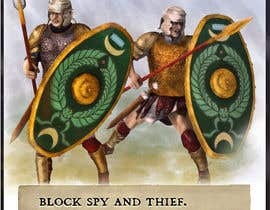 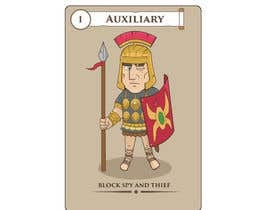 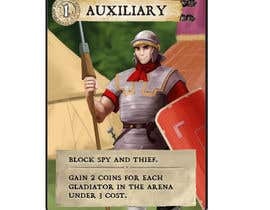 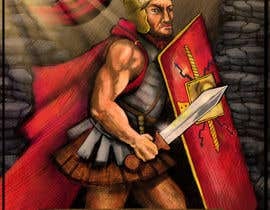 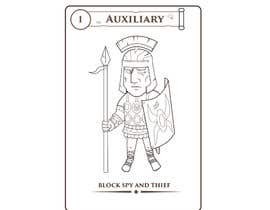 I am looking for a "Roman Auxiliary" character to be the hero of a card. 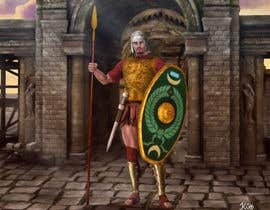 The character should have roman auxiliary outfit (google for some inspiration - mainly shield/spear/helmet) with some subtle background. 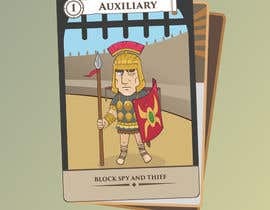 I have attached the current card layout, with some crude header and footer titles. 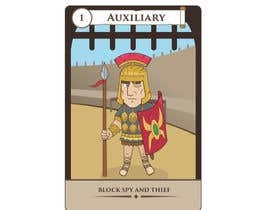 This game is inspired by Citadels but set in Ancient Rome (which may help you in understanding the layout). 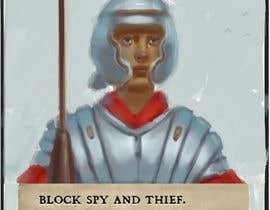 If I like your design I may commission you to be the artist on the game, which will include 30+ cards and box art. 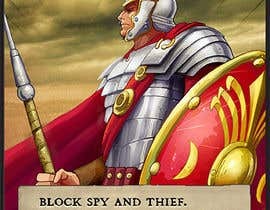 I think I will do the same. 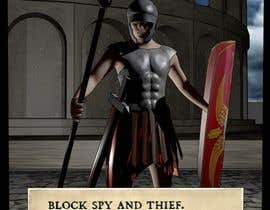 Thanks for asking the question.